Sweat & love outdoor training summer 2016! Let's crank the beat up and tune our body, mind and soul into a sweaty lovely harmonious melody! Outdoor workouts combining pilates/yoga/matrial arts and body weight training with pumping music to make it fun! It's summertime! Why go to the gym when you can be outside and train in the green grass! You don't have to be fit to come, everyone will be challanged on their own level! Each class will have a special focus visit our Facebook to find out! Sweat & Love is an outdoor fitness training runned by cetrified yoga/pilates and fitness trainers. It's a form of training where we only use our own bodyweight as a tool. It combines both cardio/strenght and flexibility and it's a full body workout but with a special focus for each class announced at our Facebookpage. Movements and excercises are mix of Yoga/Pilates/Matrial Arts/functional training with breath and cranked up music. 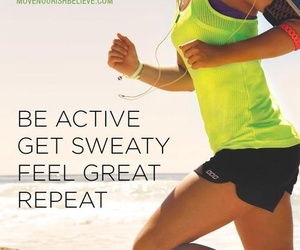 You will get sweaty and you will feel great inside-out! Bring: A mat/towel, water and comfortable clothes. Sweat & Love is a team of cet. pilates/yoga and fitness trainers! Find out about what focus each class has on our Facebook page and see any changes. Everyone from 13 and up can partipate! You participate at your own risk and we don't take any responsibility for any injujuries. 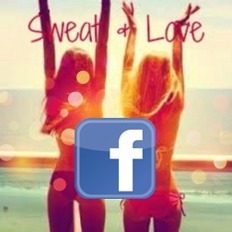 Sweat & Love is exactly what it sounds like! Training with a big dose of FEEL-GOOD!